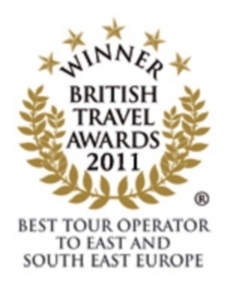 Balkan Holidays has been named in the British Travel Awards 2011 as winner of the ‘Best Tour Operator to East and South East Europe’. Companies were nominated by travel industry professionals and the winners were announced at a ceremony on 2 November in London. The British Travel Awards is the largest awards programme in the UK created to reward travel companies, with the winning accolade being the benchmark for excellence. Balkan Holidays, which operates flights from 20 UK regional airports, is the leading tour operator to Bulgaria and has offered specialist beach and ski holidays to the region for 46 years. Balkan Holidays also operates to Croatia, Montenegro, Slovenia and Romania.